If you'd like to see your business become part of this growing list of benefits for the thousands of NASA members, please email us some details on the deal you'd like to offer to bizdev@drivenasa.com. Membership in the National Auto Sport Association will make you part of a large family of motorsports enthusiasts and will provide you many benefits such as being able to participate in NASA events across the county, free admission to most NASA events, and participation in other programs available to our members. Speed News is now digitally delivered to your screen each month, without delay. This will give you the fastest, most up-to-date event coverage and information. If you don't have an account, sign up today and join NASA for $45.00 a year! As the Official Motorsports Supplier for NASA, Competition Motorsport is leading the charge in premier motorsports brands backed by industry-leading customer service, technical support and a wide inventory of products. Competition Motorsport offers a full line of safety and performance equipment from leading manufacturers like Stilo, Girodisc, Alpinestars, Hoosier, Forgeline, Sparco, Schroth, and many more. Active NASA members are eligible for an exclusive Members-Only discount program providing special discounts on motorsport products from the most popular brands. In addition, In addition to standard NASA member discounts, we’ll also be rolling out a special program specifically for HPDE and TT drivers who move from HPDE to TT or from TT to wheel-to-wheel racing. First-time TT and wheel-to-wheel racing licensees will have their licensing fee returned to them as a Gift Certificate from Competition Motorsport to be used on any order - no restrictions or minimums! CMS is working side-by-side with NASA to automate this process so you, the NASA member, won't need to do anything in order to collect this benefit (other than open your email, of course). Log in with your account for more information. A professional Coach will analyze your video to provide guidance on your driving and the specific areas that you can improve on. All feedback is easy to understand and execute on so that you can quickly find time during the race weekend! Anderson Composites, located in the heart of Southern California, specializes in carbon fiber body panels for late-model domestic muscle vehicles. A focus on performance and quality differentiates Anderson Composites from the competition. Each product is designed to not only look incredible but also offer performance advantages such as weight savings, enhanced cooling and improved aerodynamics. The Anderson Composites brand was launched by a handful of SoCal automotive enthusiast to pool their passion and knowledge of domestic muscle vehicles and provide fellow gearheads a new source for late model domestic muscle vehicle components. This vast collection of experience compiled from years of grassroots and sanctioned motorsports (road racing, drag racing, off-road racing and even some motorcycle racing) is driving some of the most innovative lightweight body parts which are both aesthetically stunning and functional. Anderson Composites has robust resources to manufacture carbon fiber and fiberglass products through the latest technologies and best practices. Anderson Composites provides a sponsorship program for exclusive offerings to interested teams. Please email us at: marketing@andersoncomposites.com for more information. Honed Developments; based in Australia but who cater to Honda Motorsports participants worldwide have grown in leaps and bounds in recent years and have quickly become the go-to brand for well engineered, track tested suspension and braking components for Honda Civic and Integra vehicles. Honed have brought a number of unique products to market, their Air Guides are the most cost-effective and easy to install brake cooling solution for Hondas and they are the only brand to offer complete suspension geometry kits which help remove a lot of the guesswork when it comes to front wheel drive suspension set up. On the honed development's website, you can find articles with testing results for many of their products which give real-world numbers to support their performance benefit claims. Honed is proud to support racers by offering NASA members a 10% discount on any order from our online store. Login to your NASA account and contact Honed for more details. Raybestos® has been a giant in the automotive aftermarket industry for over a century. As an industry leader, Raybestos® is committed to manufacturing high-quality brake parts that offer unparalleled performance and safety. From friction to rotors, calipers to hydraulics, Raybestos® produces dependable brake parts with extensive coverage. All of our products are rigorously tested so you can be confident you are buying a product that is reliable and safe. In 1957, Raybestos® began partnering with drivers in the Indy 500 and sponsoring the Safety in Speed award. This started a long tradition of excellence and recognition in the racing world. Today, Raybestos offers both Professional Racing Brake Pads for on track racing and Performance Specialty Disc Brake Pads for off-track extreme-sport drivers. Visit us at www.raybestos.com for more information! Raybestos® now offers a contingency program at NASA sponsored events. Place Raybestos® decals on your vehicle at the next NASA race to earn the opportunity to win Raybestos® bucks to put towards your next brake job so you can continue to put your foot down. Motel 6 is pleased to offer a nationwide discount to NASA! With over 1,400+ locations, Clean, comfortable rooms and great experiences, Pet-Friendly Policy, Free Morning Coffee, Local Calls, Expanded Cable & Basic Wi-Fi, Pool (most locations), and Guest Laundry (most locations) Motel 6 has a lot to offer! Log in with your account for more information. NASA Members Dash Cam Bonus! All NASA Members will receive a 15% discount off our flagship dash cam the F800PRO using the promo code NASA15. THINKWARE is a global dash cam manufacturer based out of Korea, creating location-based services and Smart Car technology since 1997. Our mission is to support all drivers with a second set of eyes and to make sure you never miss a moment on the road. Log in with your account for more information. APEX utilizes machine learning software and inertial sensors to learn your cars' performance limits while you turn laps. APEX is a real-time, peripheral feedback display, showing how close you are to your cars' potential instantaneously, AND retails for only $449! We are passionate about providing racers with the tools they need to improve, and offer all NASA members a free additional mounting base with the purchase of their APEX! Are you a NASA certified Instructor? Let us know, and we'll send you content tailored to help you instruct students with APEX. For 30+ years, Sampson Racing communication (SRC) has been involved with NASA and racing communications, as a racer and as an industry leading manufacture. Offering a complete selection of Motorola digital professional racing radios, headsets, intercoms, helmets kits, and Bluetooth wireless systems, SRC is proud to offer an exclusive discount to NASA members! Call SRC directly at (805) 650-RACE (7223) or email sales@sampsonracing.com with your NASA member number to take advantage before your next race! We live, eat and breathe the automotive lifestyle. We are racers at heart with a passion for design, fabrication and of course, BMWs. Condor Speed Shop is a leading manufacturer of track-tested & street approved performance parts for BMWs. 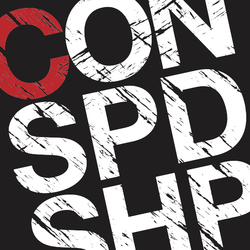 Visit www.condorspeedshop.com for suspension bushings, engine mounts, shift knobs, brake lines & more. All parts are made in the USA. NASA members receive an exclusive 10% discount on All Condor Speed Shop products. Please log in with your NASA Account for instructions on how to get the discount. Torqued is the modern online experience for premium, selectively curated motorsports parts and gear. We believe in providing content that helps you choose the right products, a smarter, more efficient shopping experience, high touch customer service, a generous return policy and super fast fulfillment from our own warehouse. We also love rewarding our best customers. That’s why we’re offering a free Torqued MAX membership to all NASA members, a $129 annual value. This gets you free shipping on all in-stock parts, regardless of how bulky or heavy it might be. No exclusions or exceptions. All we need to do is verify that you’re a NASA member, which you can do here: https://www.torqued.io/nasa. Fuelab, leader in brushless fuel pump technology, is proud to offer NASA Members an exclusive $50 manufacturer’s rebate on any Fuelab Prodigy, H/E Fuel Pump, or Fuel Surge Tank System with proof of purchase. Our brushless fuel pumps run cooler and are more efficient than regular pumps and our Fuel Surge Tank Systems keep your fuel system fully primed, even in high-g corners! Log in with your NASA account to redeem. For over thirty years, Racepak has been the leader in motorsports data acquisition, instrumentation and power distribution, pioneering GPS based data systems for closed course motorsports. The 2018 release of their revolutionary mobile and cloud based Vantage CL1 circuit data systems has proven to be the most advanced, yet easiest to use data system, on the market. Complete details can be found at: https://cl1.racepak.com/trackday/ or speak directly to one of our experts at 1-888-429-4709. NASA Members will receive Free Shipping on all CL1 orders. Wheelwell is the home to the largest community of automotive enthusiasts. Here you can find inspiration from specs and build sheets for top-modded cars around the world, talk to owners, read product reviews, catalog your own build. Wheelwell's Concierge Program gives NASA members access to in-house specialists that are there to provide professional advice on part selection and preferred pricing (up to a 65% discount) on all parts purchased. The Wheelwell Concierge Team is made up of ex-racers, race engineers and street tuners with decades of experience to help you find the right performance part for your ride. Log in now to take advantage! Roughness in metal on metal contact causes friction, wear, and heat. The REM micro polishing process reduces roughness, lowers heat, increases oil retention and part life. This process is especially effective on hypoid gears in transmissions, differentials, and even CV joints! However, engine parts also benefit from this polishing, especially crankshafts, camshafts, pushrods, lifters, followers etc. Motorsports Metal Finishing uses new equipment directly from REM Surface Engineering. This process is the same as used in F1, NASCAR, NHRA, and IMSA, among many others. We are pleased to offer all NASA members a 25% discount on your polishing requirements. Call us at 434-770-2645. We are located in Danville, VA about 12 miles from VIR. Colton@CSMPerformance.com with your NASA membership number to receive the discount! APR Performance, a premier manufacturer of aerodynamic racing components is offering licensed NASA members a special 30% off discount through an exclusive sponsorship program. For complete details on the newly announced discount program, please visit http://aprperformance.com/sponsorship/ to start your sponsorship request. 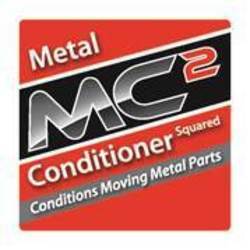 Motion Control Suspension (MCS) is a US based company with its headquarters in Atlanta, Georgia USA. Each damper is hand assembled and dyno-tested in this facility. Our team has worked together for over twenty years. We are here not only to build the best dampers available on the market today, but also to ensure you receive the proper support needed to use your dampers to their fullest potential. While our roots are in the highest levels of professional sports car racing, our products excel in all environments, from enthusiastic street driving to auto-cross, track days (HPDE), to club racing, and far beyond. Our dampers are produced from the best materials available. We have created one of the most advanced, reliable, and race winning suspension systems in the market today. Our team is proud to offer you these new systems, our proven worldwide expertise, and the best customer service in the industry. Whether you are running Motion Control Suspension or a different brand, NASA members will receive an exclusive one on one consultation with a MCS expert on suspension setups and what it will take to become a faster driver. Please email info@motioncontrolsuspension.com with your NASA member number to get connected with an expert today. Dry Shine’s focus is in the research and development of superior WATERLESS car care products that have unsurpassed results in much less time than conventional vehicle detailing. As a top brand in the waterless car appearance space, Dry Shine products are used by automotive professionals, race car teams & enthusiasts worldwide. There is no longer a need to waste up to 140 gallons water per car wash. There is no longer a need for buckets, hoses or numerous towels. Whether you’re on the road or in the pits, the Dry Shine family of products allows you to clean, shine and protect your ride in a quarter of the time. Remmen Brakes is a brand designed for people who love to drive. With decades of industry experience in braking, we exist to bring you braking solutions that consistently outperform. NASA members can enjoy a 20% Discount on non-Carbon Ceramic products (CCST rotors and pads) + free shipping anywhere in the Lower 48. Please log in with your NASA account for more details. Futura trailers are designed to transport wide and low race or classic cars without the hassle of ramps or a tilting deck. They’re also very light, so easily managed by one person. The wide deck and low approach angle make loading your car effortless – Simply grab the remote control and drive on, it’s as easy as opening your garage door. The simple, elegant design is backed by clever engineering that raises and lowers the trailer from the driver’s seat in less than a minute. With plenty of door clearance for almost every car, you’ll have no trouble getting in and out of your car. All Futura Trailers feature a weldless chassis for strength and durability, made from 6005 anodised aluminum and high-grade components. To cater for all users, Futura offers an expertly-engineered accessories range including stone guards, recovery winches, tire racks and tie downs. Gaining a reputation as the perfect motorsport or classic vehicle trailer and trusted by Motorsport Legends including Al Unser and Rod Millen, Futura are one of the fastest growing trailer brands in the USA. NASA members can enjoy a special offer with the purchase of a brand new Futura trailer. Log in and contact Futura trailers for more details. Lightweight - Brute Strength and Made in the USA! Race Ramps makes lightweight ramps that are 100% solid and can support up to a 6,000 lb. vehicle. On our heavy duty (HD) model ramps, they can support up to a 10,000 lb. vehicle. Made out of a high-density expanded polystyrene and coated with a hybrid polyurea, using Race Ramps is the safer approach to working on your vehicle. With over 100 products, Race Ramps also specializes in producing ramps for low-clearance cars. From service ramps and trailer ramps to rack and lift ramps, we have your solution with low angles of approach. You've invested in your car, so invest in a set of ramps that will keep you safe both in the shop or at the track! NASA members will receive an exclusive 20% discount. Log in to your NASA account for details on how to take advantage of your discount! NEO Motorsport is an R&D and manufacturing company based in Ontario, Canada that is dedicated to producing the highest quality brake and suspension components for motorsports and daily use. We are a team of automobile enthusiasts that constantly pursue success in motorsports. Our involvement in the various form of motorsport including, road racing, time-attack, drifting, and endurance racing allows us to enhance our products from different angles. All our products are CNC machined from forged aluminum alloy and are engineered to optimize weight and thermo-mechanical characteristics. Being in the great white north, we have learned to engineer and build our products to withstand that toughest conditions mother nature can throw at us. We test our products through the 4 seasons to ensure our products goes through real-life scenarios before we launch the product into the market. Over the years, we have helped many teams and drivers to achieve podium finishes and set track records across North America. Our passion for motorsports drives us to create a contingency program with un-matched payout to offset the cost of racing and support the community. We are racers ourselves so we understand what you need. NASA members can enjoy a 20% discount across all products offered by contacting weichihlin@neo-motorsport.com with your membership number. Fuel Safe Systems, the first name in safety fuel cells, is excited to announce a partnership with NASA that will provide NASA members with a 10% discount on any of our standard fuel cells. Fuel Safe is committed to making quality safety fuel cells available to every racer regardless of their budget and is proud to partner with NASA in an effort to keep its members safe as they pursue their passion for motorsports. All of our racing fuel cells are proudly Made in the U.S.A. and feature race proven components. Our fuel cell buyer's guide can assist you with finding the right fuel cell for your application. Please call one of our sales representatives at 800-433-6524 to discuss our NASA discount program and learn more about our full line of racing fuel cells and accessories. Chariot Concepts is a company started by a Tire Guy. Company founder Dan Jensen spent 36 years in the tire business, and that provided him with the source of ideas that Chariot Concepts invents and develops. The TruStack Tire Dolly was Concept One and it is a patented example of simplicity, functionality, and quality. Made from glass-reinforced polypropylene, the TruStack Tire Dolly is an injection molded round platform dolly. It features a substantial 30” diameter, 1000 lb. capacity, patented tire lash system, sealed bearing casters, and a unique patented EZ Steer caster configuration that lets you control loads even across slanted driveways and side hills. This is a great tire dolly to have at the track or shop and it retails for only $149.95. NASA Members are offered 20% off this price and will also receive a free 12’ custom lash strap for securing tires to the dolly, plus FREE SHIPPING! To lock in this offer, email the owner direct at DJ@ChariotConcepts.com. An invoice will be sent along with a credit card link to those identifying themselves as NASA Members. GeoSky Alert provides the finest security for your Trailer, Tow Vehicle, Race Car and Street Car! As a NASA member you are entitled to a special discount reserved for active NASA members. Paring the best aspects of a car alarm, smart phone and a GPS tracking solution we can provide you with virtual eyes on your vehicles 24/7/365. International coverage assures you that wherever you are keeping track of your vehicles is as easy as looking at your mobile device. Alerts are sent via text and email notification. Features include: Automatic Geo Zones, Notification of Movement, Low Vehicle Battery, Speed Threshold Alert, two additional Input Triggers for direct notification to your Smartphone or Tablet. Real Time Tracking on your Mobile device. Built by Racers for Racers! Contact Ron Carter Ron@geoskygps.com or 760-576-3003 x703. NASA Members Referral Program — For each person you refer to our school and presents your name as a referral source, you will earn a 10 percent credit toward any future school you attend. These credits can accumulate for up to 50 percent off any Ford Performance Racing School. Please call one of our Account Executives at 435-27-SPEED for more details. BookingCommunity.com is NASA’s NEW travel partner offering exclusive access to unpublished hotel room rates at over 800,000 hotels that are up to 70% less than any other hotel direct website or travel websites such as Expedia, Travelocity, and Hotels.com. This benefit is only available to NASA Members. Log in with your account and take advantage now! ParkOn.com provides online airport parking reservations at great prices. Select a departure airport and dates of travel to find and reserve an airport parking lot. Booking is easy and cancellations are free. Members of NASA can save up to 20% off regular airport parking rates at any of our partner lots across the US. Use the Promo Code: NASADP at checkout. No other credentials are needed and there are no restrictions or blackout dates. Racingjunk.com is the largest online racing & performance classified site, serving millions of users since 1999. Since its founding, Racingjunk has been the place for performance enthusiasts to find new & used vehicles and parts from race cars to hot rods, engines, power sports & off-road vehicles, trailers & more. In addition to hosting classifieds, RJ partners with tracks, series sponsors, racers, manufacturers & experts to support all levels of the community from grassroots to professionals, connecting users with the best products, services & experiences in the industry. We are excited to have Racing Junk as our Official NASA Classifieds Partner. Members can now get a YEAR Club Membership for 40% off! Log in for more information on how to take advantage! Fresh Air Systems Technologies, Inc. remains loyal to its primary mission: F.A.S.T. is not just blowers, coolers and racing equipment for the racing industry, but helmet ventilation experts on a quest to better the performance and stamina of the racing athlete through products used and developed in a racing environment. F.A.S.T. thrives on customer relationships and giving drivers the chance to be the coolest F.A.S.T. driver out there! We are happy to offer NASA Members a 10% discount on ALL F.A.S.T. built products by emailing fastsarah124@gmail.com for your coupon code and including a picture of your NASA Membership Card. Visit our website at www.freshairsystems.com. The mission of Racing Fire Systems is to supply racers with the best in-car fire suppression systems at the lowest available prices. Our SPA and Lifeline systems are FIA and SFI certified and exceed the requirements for NASA competition. NASA competitors enjoy a substantial discount on all systems, making our prices for NASA teams lower than any competitors' advertised prices for these systems. 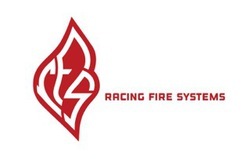 Please visit our web site at: www.racingfiresystems.com and select "NASA pricing" to discover the discounted pricing on specific systems. Jongbloed Racing is proud to offer NASA HPDE participants a special membership benefit. Any NASA member who takes part in a weekend of HPDE activity with NASA during 2016 will qualify for a $500 discount toward the purchase of a complete set of 4 three piece wheels, or a $250 discount toward the purchase of a set of 4 one piece wheels from Jongbloed Racing wheels. Simply email a copy of your NASA receipt to Jongbloed Racing and you'll be granted your discount immediately. Visit www.jongbloedracingwheels.com for more information.